Regular 3 5/8" x 5/16"Dia. 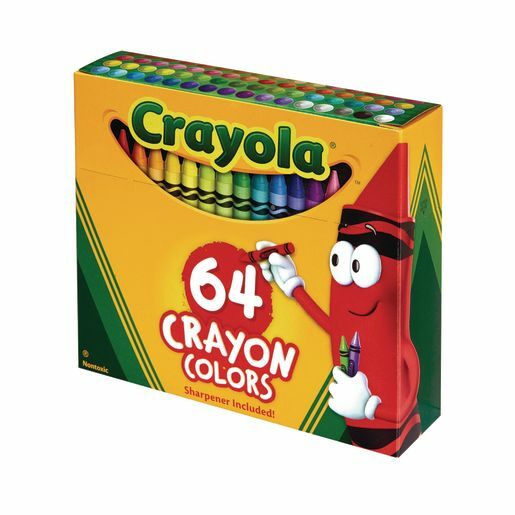 64 colors in a flip-top box with sharpener in back. AP Certified.